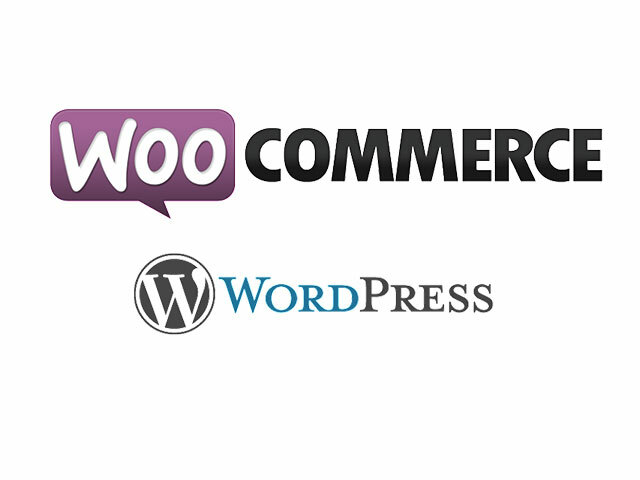 Best Free Wedding WooCommerce WordPress theme builds with Genesis Framework, shopping cart supported by WooCommerce 3.x, Responsive Layout, Easy to Customize! 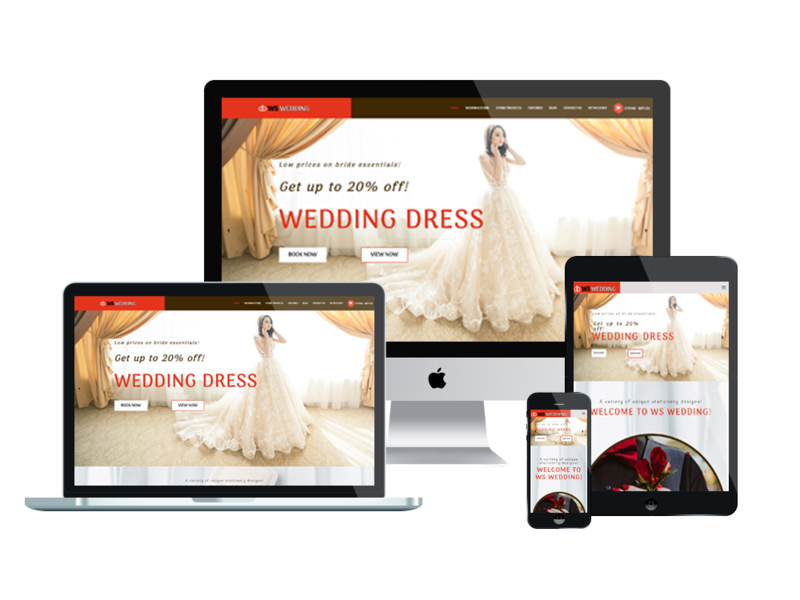 The Wedding Store WordPress Theme offers lots of features that facilitate great visuals to help market the latest products in your wedding boutique. 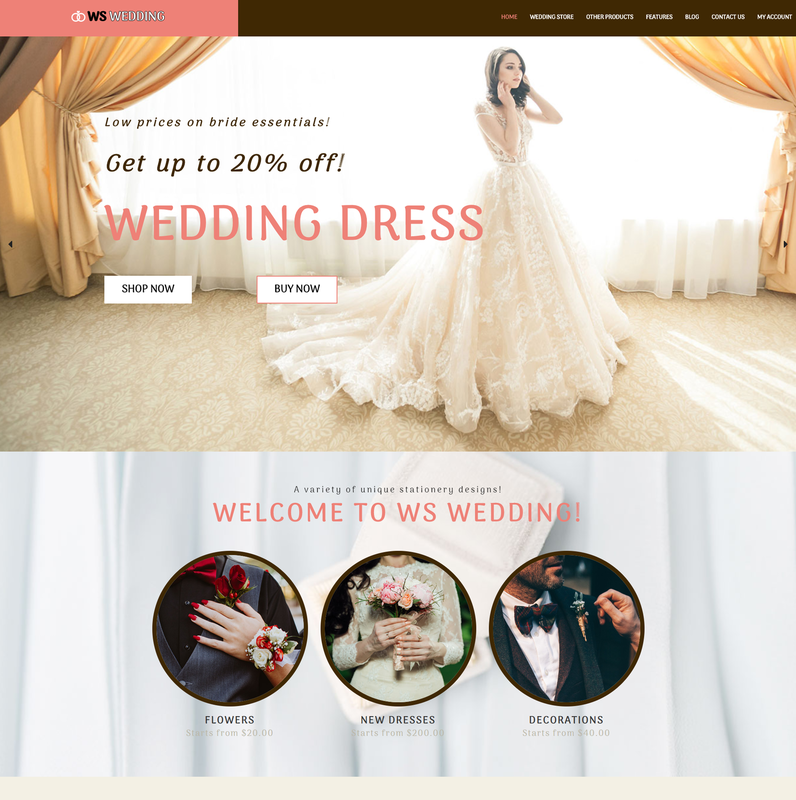 WS Wedding is free responsive Wedding WooCommerce WordPress theme designed to appeal to future brides, grooms, and family alike! The Wedding Store WordPress Theme offers lots of features that facilitate great visuals to help market the latest products in your wedding boutique. Our WooCommerce Themes are the perfect solution to charm the viewers’ eye and soul with great color combinations and elegant template settings. The main slider offers you the possibility to promote best selling products or special offers in order to attract and impress your clients. The fully responsive design of these templates guarantees that clients will be able to view your website properly at any time. They can choose any platform including mobile to browse through your latest bridal products. Finally, you can leave any contact details and important information about your store on the Contact Us page. Customers can also reach out to you with the user-friendly contact forms. 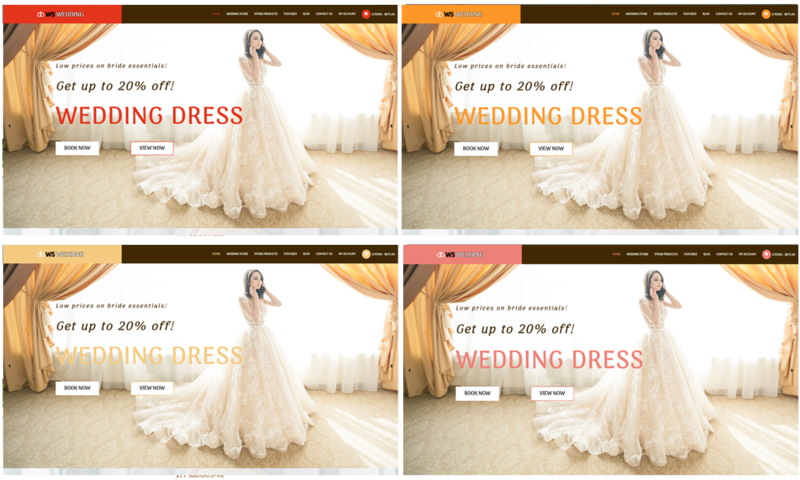 Create the perfect virtual place for your viewers by choosing Wedding Store WordPress Theme!